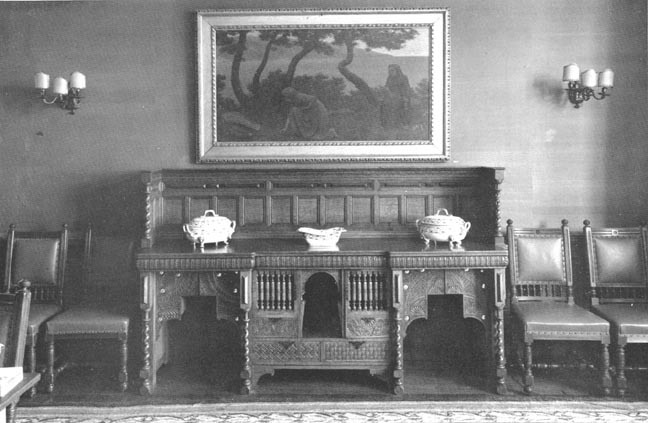 Sideboard designed by Thomas Jeckyll (1827-81). Height 54 inches; width 95 1/4 inches; depth 25 inches. c. 1866-70. Oak with turned and carved decorations, the doors inset with convex mirrors. The Aesthetic Movement and the Cult of Japan. London: The Fine Art Society, 1972. Catalogue number 292.